bookingDialog lets you save invoices in PDF format and you can print them out and issue paper invoices to your customers. Your booking administration panel helps you run your entire office and takes away all the complications of billing. 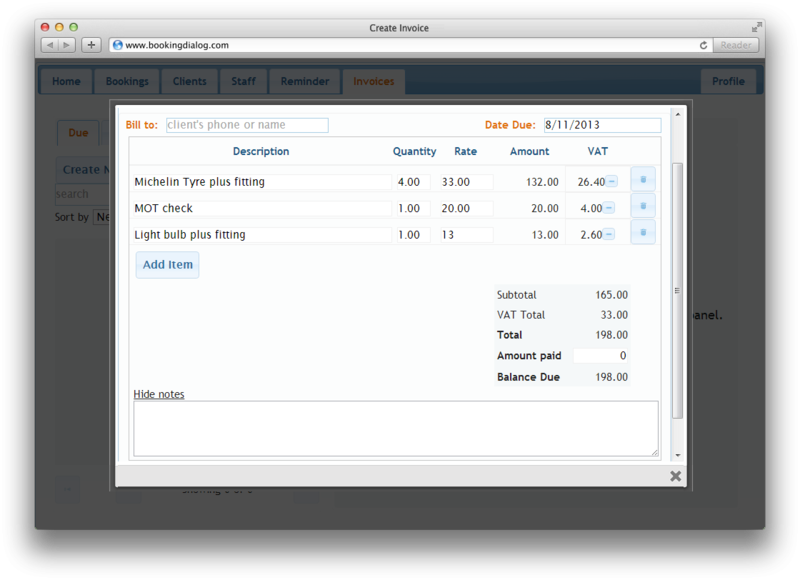 BookingDialog is designed to keep typing invoice data at a minimum. Add your items into an easy to use interface and simply hit the save button. You have an option to create quotes, i.e. proforma invoices, and export them as PDF documents. The powerful search functionality can find any customer data instantly and automatically populates all required invoice-fields. You can also reuse existing invoices to save even more time. As part of the bookingDialog Pro service, our technical team will take your custom invoice design requirements where you can put your own logos on it.